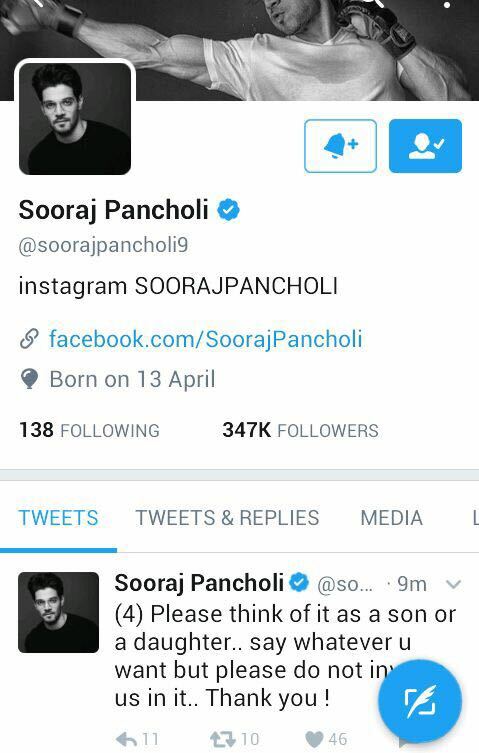 Actor Sooraj Pancholi deleted his Twitter account today amidst the ongoing war of words between his father Aditya Pancholi and actress Kangana Ranaut. The 25-year-old actor, who was perturbed with the whole issue, posted a series of tweets before deleting his account. 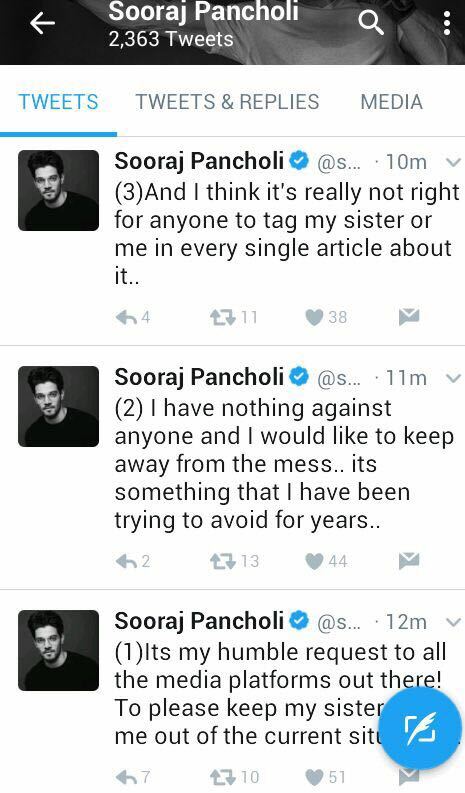 In his tweets, Sooraj Pancholi requested the media to keep his sister and him out of the current situation. "I have nothing against anyone and I would like to keep away from the mess... It's something that I have been trying to avoid for years. And I think it's really not right for anyone to tag my sister or me in every single article about it," he tweeted. Earlier this month, Kangana Ranaut made explosive revelations about Aditya Pancholi in her tell-all interviews with India TV and CNN News 18. 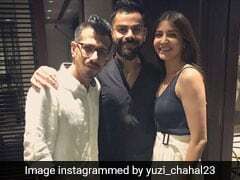 She alleged that the 52-year-old actor 'exploited' her during her initial days in the industry and accused him of holding her under house arrest. 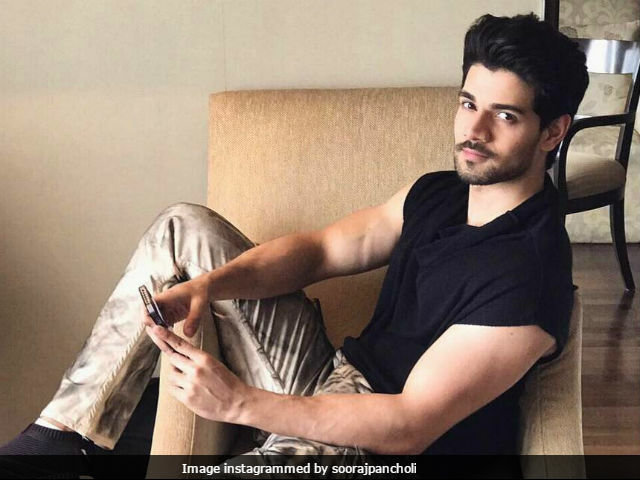 She said that she was a minor during her alleged relationship with Aditya Pancholi and she had sought help from the actor's wife Zarina Wahab as she couldn't tell her parents. However, Aditya Pancholi refuted all allegations made by the Queen actress and threatened to take a legal action against her. He called Kangana a 'mad girl' and said that she is 'lying' in an interview with BollywoodLife.com. "I met Kangana a few times because my husband wanted me to take her to meet Sanjay Leela Bhansali so I took her there. First of all, I never discuss my problems with my own sisters so who is she (Kangana) to me that I will go and discuss with her that if he's not coming home I will be happy. What nonsense is she talking about? I should not say anything about her. These things are really bugging me!" Zarina Wahab told Pinkvilla.com. "I know what happened but I don't react to that and that's a different thing. Sabka life deal karne ke liye alag tareeka hota hai, mera bhi alag hai (Everybody has a different way of dealing with life and my way is different from others). I read this on Google alert and I reacted. Otherwise, I am the last person to react," she added. On the work front, Kangana Ranaut is busy with the promotions of her upcoming film Simran, which releases this Friday. She will soon resume shooting for Manikarnika: The Queen of Jhansi.